SKU: 1063335. 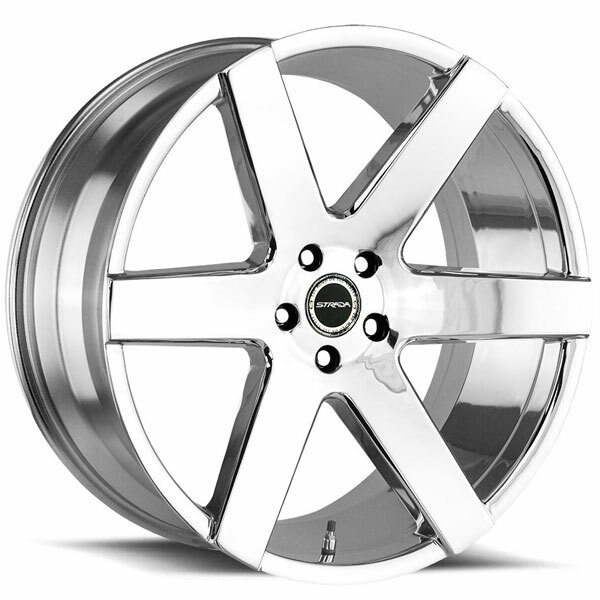 Categories: $101-$200, $201-$300, 12 Spoke Wheels, 18 Inch Wheels, 2 Spoke Wheels, 20 Inch Wheels, 22 Inch Wheels, 24 Inch Wheels, 26 Inch Wheels, 5X100 - 5X4.00, 5X108 - 5X4.25, 5X110 - 5X4.33, 5X114.3 - 5X4.50, 5X115 - 5X4.53, 5X120 - 5X4.72, 5X135 - 5X5.31, 5X139.7 - 5X5.50, 6X127 - 6X5.00, 6X135 - 6X5.31, 6X139.7 - 6X5.50, Black, Black Machined, Black with Machined Face, Strada Wheels. 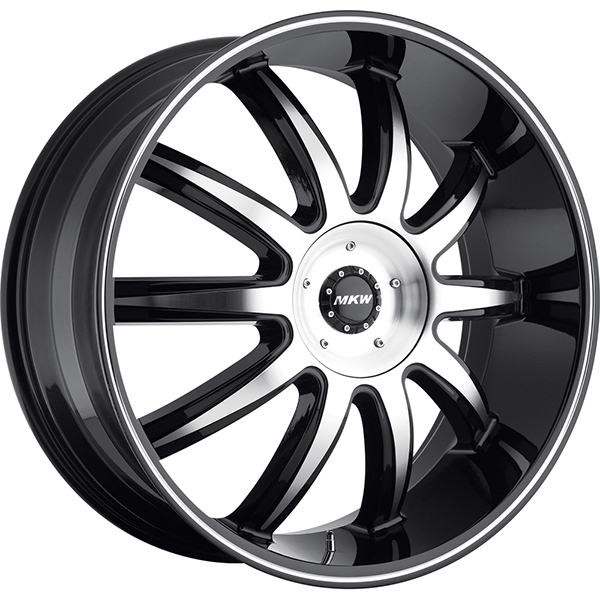 Strada Corona Black with Machined Face and Stripe has earned a distinguished and respectable reputation in the wheels and rims market. The popularity can be attributed to the quality and uniqueness of each wheel manufactured by Strada Wheels. Strada Corona Black with Machined Face and Stripe are available in different sizes and bolt patterns. 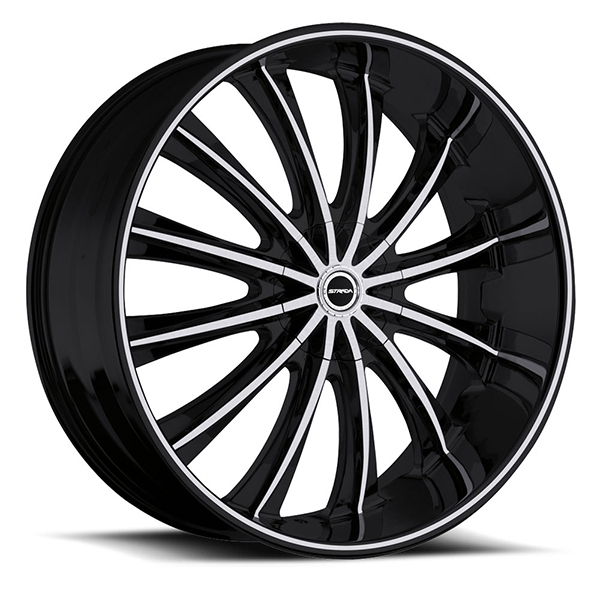 These include 17 inch, 18 inch, 20 inch, 22 inch, and 24 inch wheels.